While Uber and Ola battle it out for the crown in the ride-hailing space, Shuttl is treading forward with the infusion of a fresh $11 million (~ Rs 75 crores) into its app-based bus aggregation platform for office goers. This is the Series-B round of funding for Shuttl and has been led by Amazon India, Amazon Alexa Fund, and Dentsu Ventures. Its existing investors Sequoia Capital, Times Internet, and Lightspeed Ventures also participated in this round. We see the top seven cities including Pune, Jaipur as our potential markets. We will continue to improve the consumer experience, design more routes, and restore the dignity of commuting for millions of people. 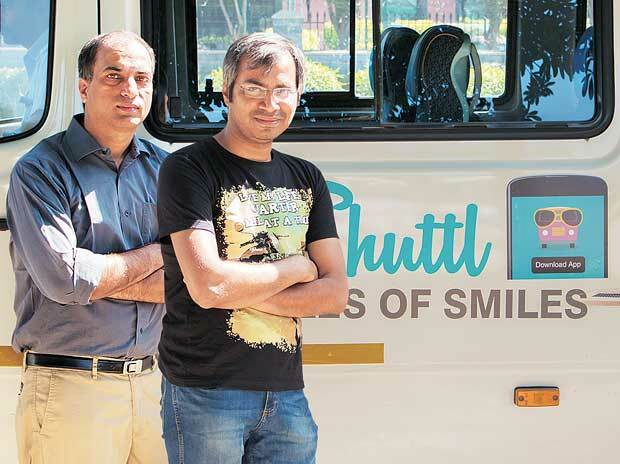 For those unaware, Shuttl is a Gurugram-based startup that was founded by Amit Singh and Deepanshu Malviya back in early 2015. They started off the on-demand commuting service with New Delhi and now has 800 buses running across seven cities. It currently completes 45,000 rides in five cities and has 60,000 active monthly users. Its primary goal is to be the alternate solution for unreliable public transport in the country. As for Amazon India’s participation in the funding round, the e-commerce giant believes that Shuttl presents an essential solution for a large and relevant customer pain point in India, i.e. everyday urban commute. It is also the reason Alexa Fund got involved in the funding round and looks forward to delivering an Alexa-activated “Shuttl booking experience” to the Indian commuters. There’s currently no mention on whether Amazon and Shuttl will be seeking synergies in the future but co-founder Amit Singh says that the company is quite small to collaborate with Amazon India right now. However, he does continue to add that, ‘you can definitely expect us to use prime videos in our buses or have some offers or tie-ups with Amazon’s prime consumers in future.’ So, are you excited about this upcoming partnership? Let us know in the comments below.